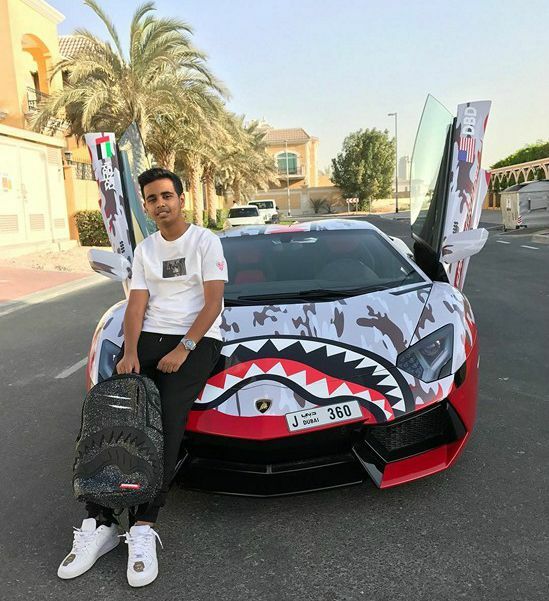 Rashed Belhasa is an Arab internet sensation, YouTuber and the son of multi-billionaire and business mogul Saif Ahmed Belhasa. He came into the limelight in mid-2013 when he started posting pictures of his sneaker collections on Instagram and eventually launched his YouTube Channel, “Money Kicks” when he posts videos about his luxury lifestyle and shoe collections. According to his YouTube videos, this 15-year old crazy kid has a large collection of sneakers valued at over $1 million US dollars. He often associates with other social media stars for videos and also make videos with celebrities when they visit his house. He has over 1 million followers on Instagram and 1.1 million subscribers on YouTube. Rashed Belhasa was born on 5 January 2002, in Dubai, United Arab Emirates. His education background is unknown. His religious views are unknown. There are not much-known details about his personal life and relationship status either. Rashed Belhasa hasn’t appeared in films or television series yet. Rashed Belhasa has an astounding net worth of $2.1 billion US dollars, which he inherits from his family wealth. Despite being considered as Dubai’s richest kid, this lad intends to make living on his own, an aspiring business acumen, who owns an eCommerce store, men’s streetwear line called KA-1, and not to mention his immense online presence. He makes a ton of money from his YouTube channel, Money Kicks, an estimated of $5 – $10 for every 1000 monetized views. Known for his luxurious lifestyle like a king, Rashed has a large collection of exotic cars such as Rolls Royce, Range Rover, Mercedes AMG GTS, Audi R8, Lamborghini Aventador, Ferrari F12, Porshe 91A, Limousine Classic Mercedes, Nissan Patrols & Infiniti, Cadillac Escalade and many more. He lives with his family in a luxury house that houses all amenities and modern technology that one could imagine. The family farmhouse located in the outskirts of Dubai is a home for various wildlife animals like Tiger, Lion, Leopard and many more. 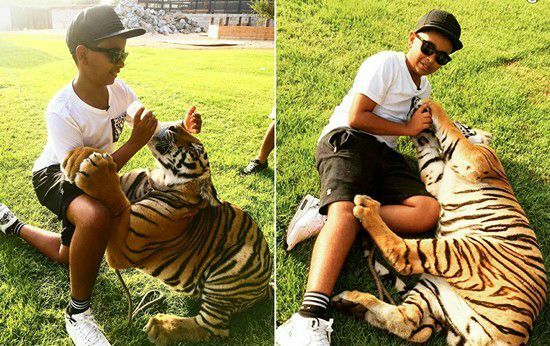 In fact, it’s a private animal sanctuary that attracts high-profile celebrities including Shah Rukh Khan, Saif Ali Khan, Salman Khan, Wiz Khalifa, Tyga, “The Game”, Akon, Messi, Nicki Minaj, and many others. He began posting pictures of luxury lifestyle to Instagram in May of 2013 and launched his YouTube channel just one month later. His first video uploaded to Money Kicks was titled ‘Legendary Sneaker Collection! !’ and showcased Belhasa’s collection of footwear. 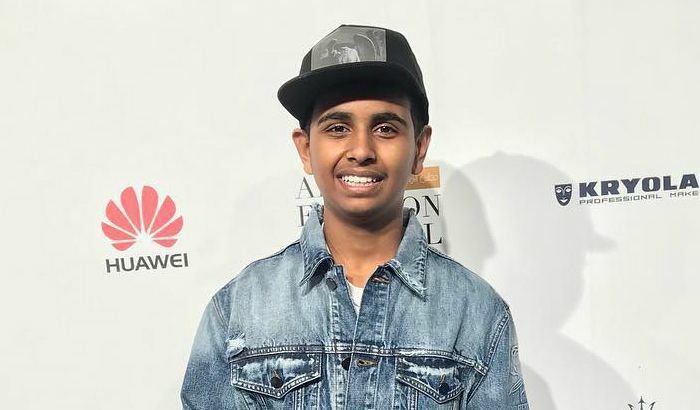 Rashed’s most popular YouTube videos are part of his “Sneaker Talk” series and feature celebrities like Wiz Khalifa, Tyga, The Game, Silento, and Kid Ink. So far around 26 different personalities have made appearances on the show. He has had a number of athletes, like Wayne Rooney, in his personal sneaker room. Some of his popular videos are “INSIDE DJ KHALED 10,000,000 $ MANSION”, “MY NEW LV SUPREME FERRARI”, “THE SALT BAE DUBAI EXPERIENCE” and among others.